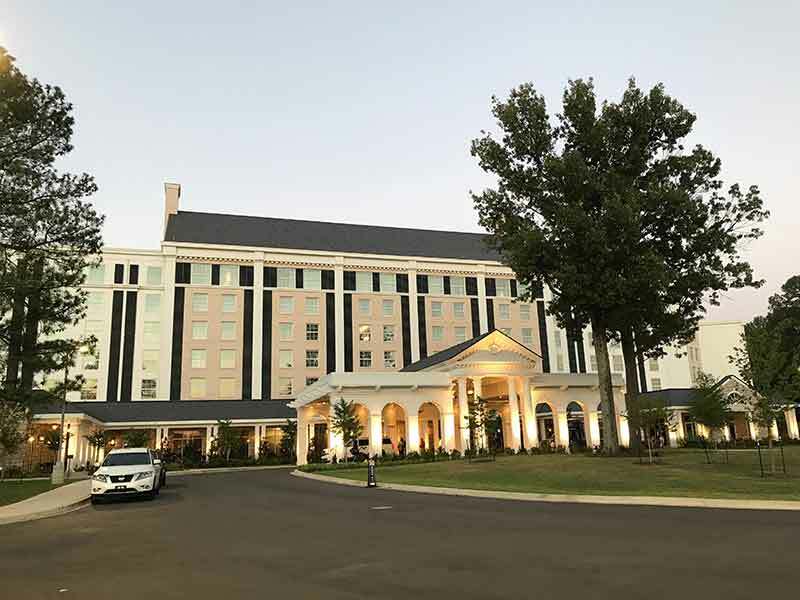 The 450-room luxury hotel, opened less than a year ago and located just steps away from Elvis Presley’s Graceland® Mansion in Memphis, Tennessee, is the city’s second largest. It is trumped only by the historic 464-room Peabody Hotel, home of the famous marching ducks. After a quick, early check-in (thankfully, our room was ready hours before the official time of 4 p.m.), the southern hospitality of the bell service staff members who handled our luggage set the tone for our three nights in Memphis. The vibe continued as we entered our king room (rooms with two queen beds are also available). 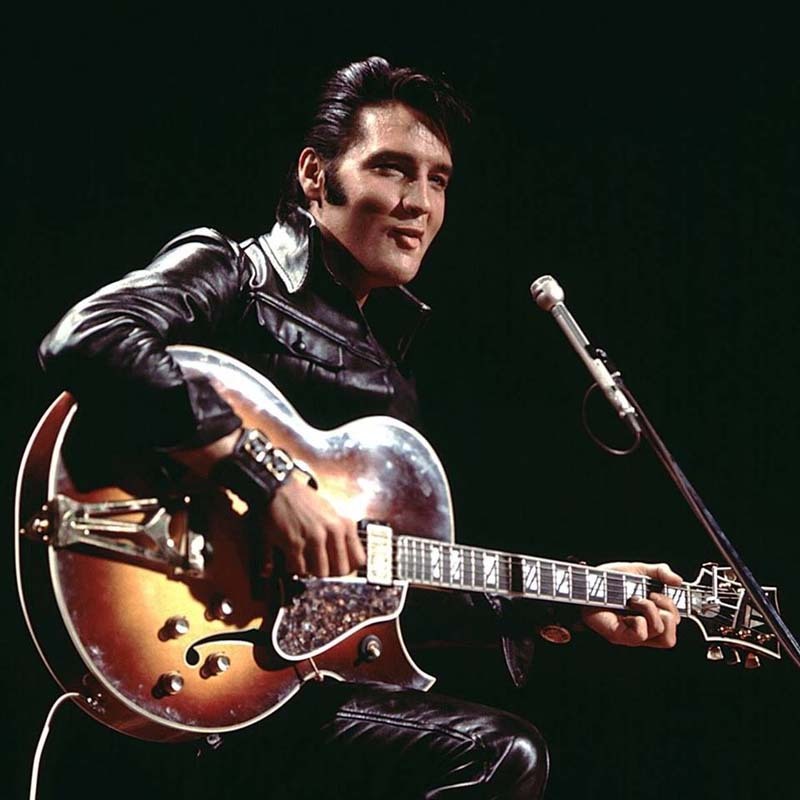 Elvis music filled the room from the 50-inch high-definition flat-screen TV, which had been programmed with his songs from the 50’s, 60’s and 70’s (guests can choose the decade), along with special features about the new Elvis Presley’s Memphis™ – the $45 million, 200,000 square-foot, state-of-the-art entertainment complex that opened in March, 2017, across the street from Graceland Mansion. Our third-floor room overlooked the hot tub and pool, much larger than the small kidney-shaped pool Elvis had originally installed at Graceland after he purchased the home in 1957. 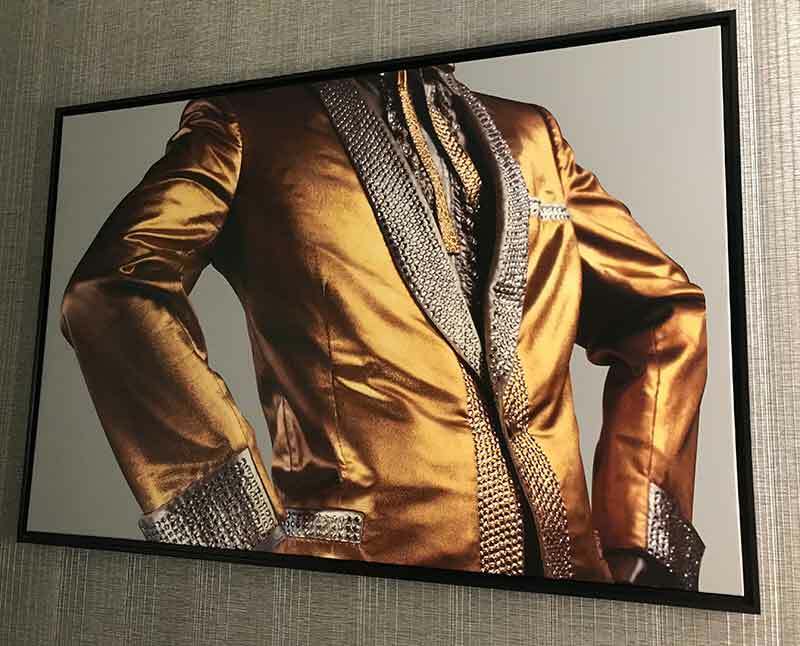 An Elvis-inspired art piece – classy, not kitschy – is included in each room (ours depicted a gold lamé and sequin jacket), and 300 thread count cotton/eucalyptus fiber linens cover the platform bed’s proprietary DreamCatcher Simmons Beautyrest® mattress. Having a Keurig coffee brewing system and small refrigerator in the room made it easy to enjoy breakfast in the room before leaving for a full day of sightseeing. Amenities – including an in-room safe, steam iron and ironing board, and wireless iPhone charging clock radio – are among those I expect to find in a luxury property. A magnifying make-up mirror is something I always look for, too, and you’ll find one on the marble-topped counter in the bathroom that also features include a large walk-in shower with overhead rain shower and wall-mounted body spray. Twenty of The Guest House at Graceland’s 450 rooms are luxury themed suites, each with design and décor supervised by Priscilla Presley. Although we didn’t get a personal tour, we walked to the end of the main hallway to find the staircase and crystal chandelier leading to the top floor. 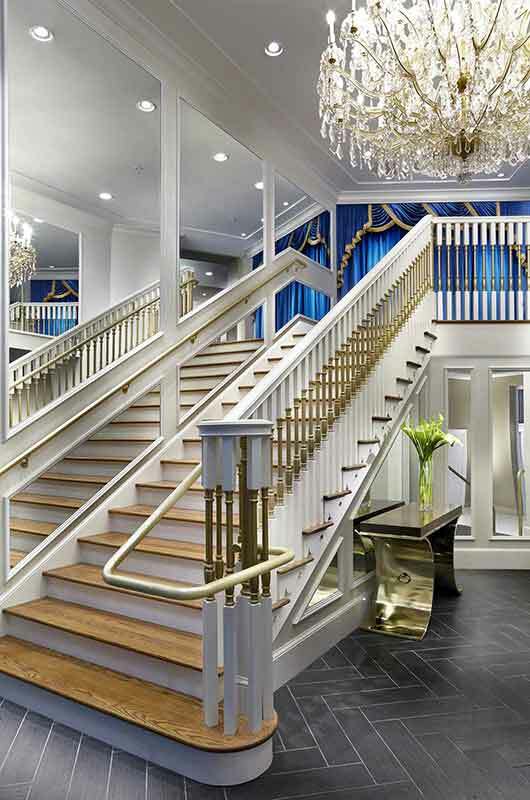 Known as “the Upstairs,” it replicates the stairs leading to Elvis’s bedroom and private living quarters at Graceland. If you’re celebrating a milestone anniversary or other special occasion, you might want to splurge by booking one of the King’s Suites, complete with a TV mounted on the ceiling, just like Elvis had in his bedroom at Graceland. Other suites were inspired by Las Vegas décor and his home in Palm Springs. Accurately billed as a hotel “with a touch of grace and a dash of rock ‘n’ roll,” the Guest House of Graceland is recommended to anyone planning to visit Graceland Mansion and the Elvis Presley’s Memphis™ complex. Did you know? 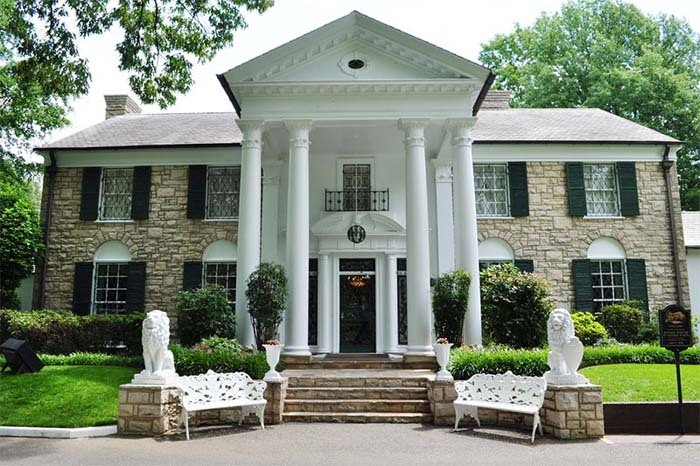 Graceland was proclaimed a National Historic Landmark in 2006 and is the second most visited house in America, right after the White House, welcoming over 600,000 visitors annually. Although we chose to sample restaurants in various parts of Memphis during our stay, several dining options are available within the hotel. The full-service Delta’s Kitchen serves a hearty breakfast buffet and then transforms itself in the evening into an intimate, candle-lit dining establishment. E.P.’s Bar & Grill is a southern-style pub that also includes a pool table in homage to Elvis’s love of the game; amateur crooners can sing their favorite tunes on Karaoke Wednesdays. 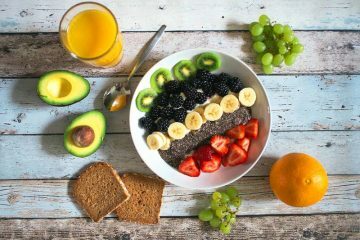 Appetizers and drinks are served in the Lobby Lounge, where nightly live music adds to the ambiance, and the Shake, Rattle & Go coffee and snack bar is open 6 a.m. to 7 p.m. for breakfast and all-day food items. 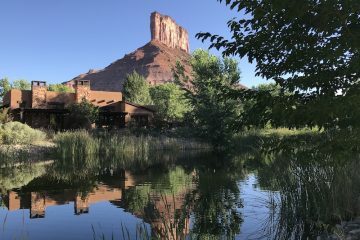 On most nights, you can attend a showing of one of the 33 movies Elvis made throughout the 1960s in the Guest House’s 464-seat theater, also available for special live performances and presentations. Shuttle transportation is also offered to hotel guests every evening to Beale Street, the iconic home of the blues, leaving the hotel on the hour from 6 to 10 p.m. and returning from Beale Street on the half hour from 6:30 to 10:30 p.m. ($5/each way). Guests flying into Memphis International Airport (MEM) receive complimentary transportation to and from the hotel, but having a car to explore Memphis beyond Elvis is recommended. The Guest House at Graceland is an ideal base for sightseeing in Memphis, since Beale Street, Sun Studio, Mud Island River Park, the Memphis Rock & Soul Museum, Stax Museum, the National Civil Rights Museum and other area attractions are all within an easy 15- to 20-minute drive. Elegant Elvis-inspired décor, comfortable guest rooms, hospitable staff and close proximity to the Graceland Mansion and Elvis Presley’s Memphis™ entertainment complex all make The Guest House at Graceland the hotel of choice in Memphis for Elvis fans. Dogs under 35 pounds are permitted at the Guest House in South Tower rooms, with a daily pet cleaning fee of $25 per dog. 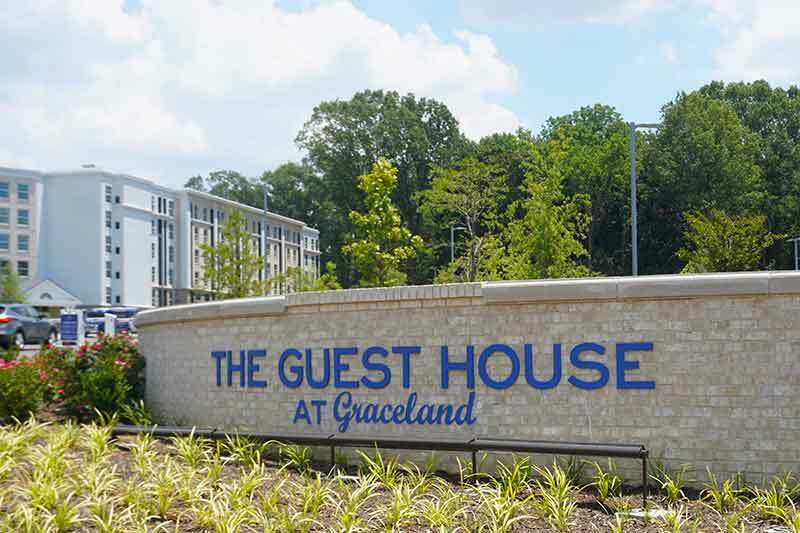 Reservations for The Guest House at Graceland may be made by calling 800-238-2000 or 901-443-3000, or booking online. 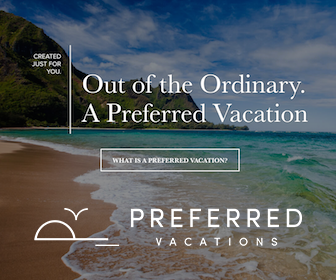 Ask about senior rates (50+). 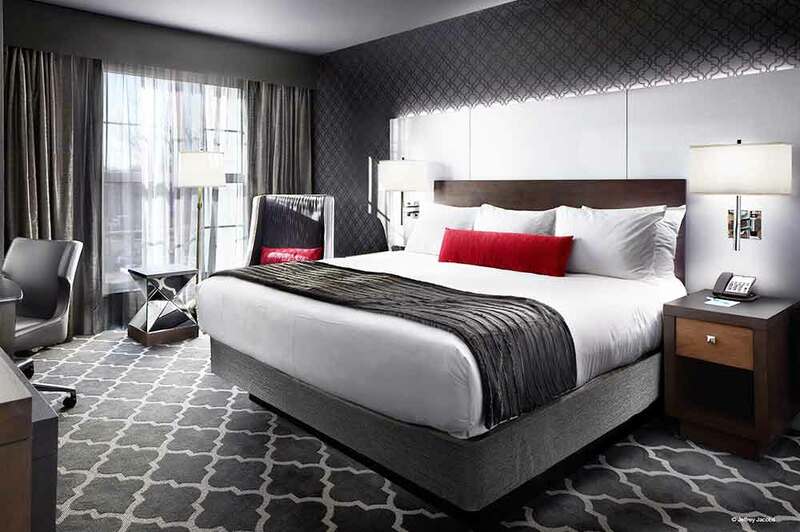 Discounted room rates and packages that include tickets to Graceland are available on the hotel website. The author received a reduced media rate during her stay at The Guest House at Graceland. 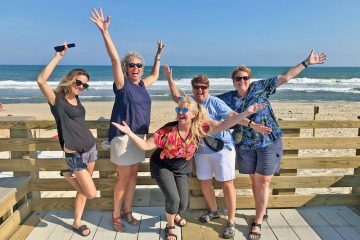 Debbra Dunning Brouillette is a native Midwesterner who fell in love with sun, sand and sea at a young age. 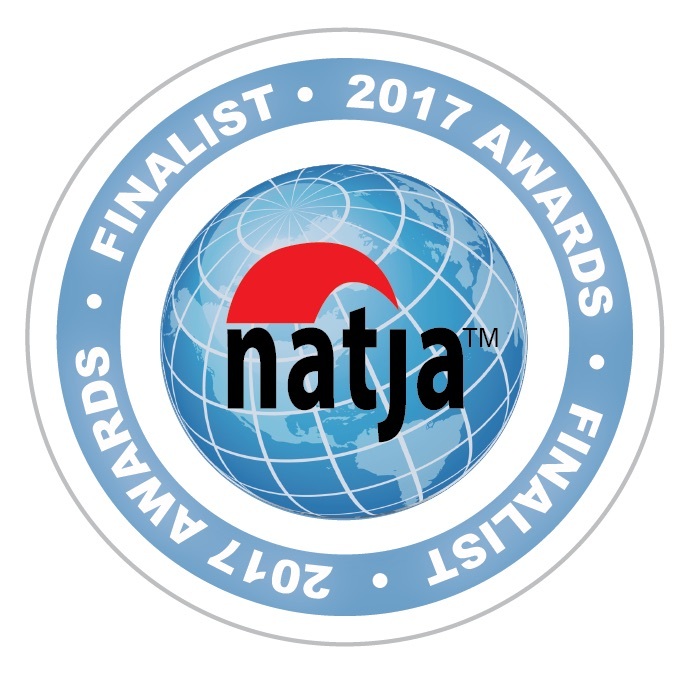 A scuba diver and avid photographer, she enjoys exploring the reefs and natural wonders, savoring the food and wine, meeting the locals, and discovering what makes each island unique. 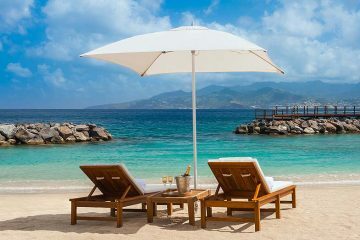 Debbra has visited more than 30 Caribbean islands and other tropical destinations throughout the world. 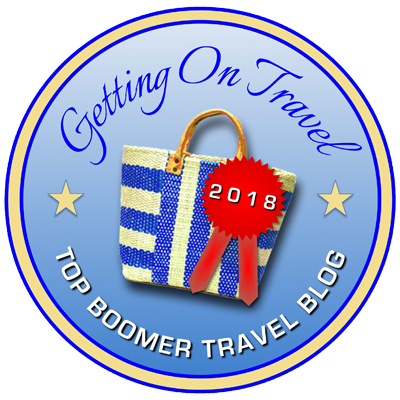 Her articles have appeared in the Ft. Worth Star-Telegram and AAA Home & Away, among other print and online sites, including her own website, "Tropical Travel Girl." 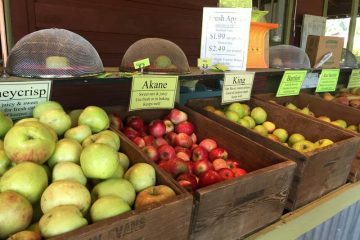 Things to do in the Tualatin Valley: Sip, savor, cycle and more! 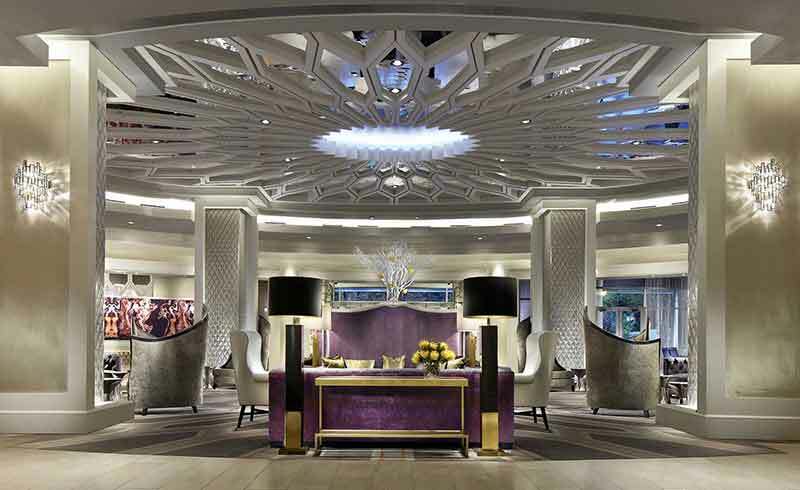 Wow, this hotel looks fabulous! I absolutely love Elvis. I visited Graceland just under 2 years ago and thought it was absolutely amazing, I’d been wanting to go since I was 16 – 19 years on my friend and I finally made it! I wish the hotel had been then, looks like it would have made our experience even more amazing. I want to read more of your travels. Graceland is my “happy place” to visit…many times! This really looks like fun, and I absolutely love the photos! 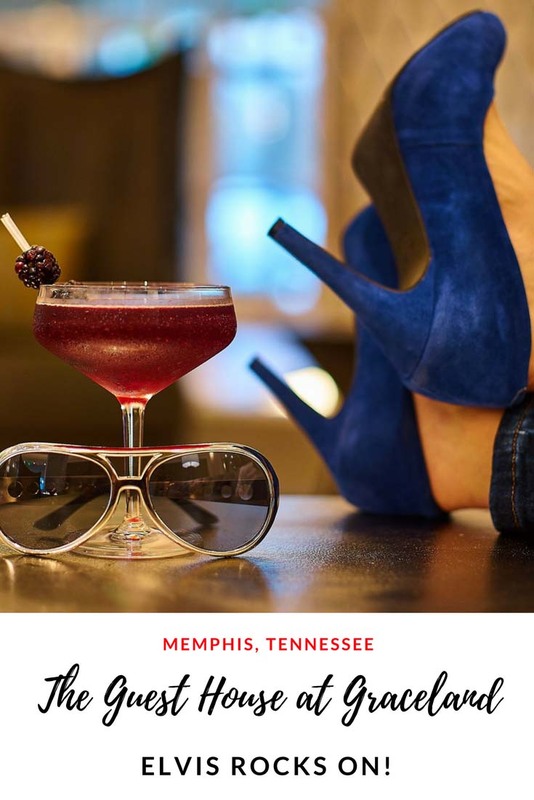 I’ve never been to Memphis, and I do want to go, especially after reading this. Sheryl, I’m happy to have piqued your interest in visiting Graceland and Memphis! If you go, be sure to stay at the new hotel – The Guest House at Graceland. And if you haven’t yet clicked on the link at the bottom to my article on visiting Graceland and Elvis Presley’s Memphis, check it out! 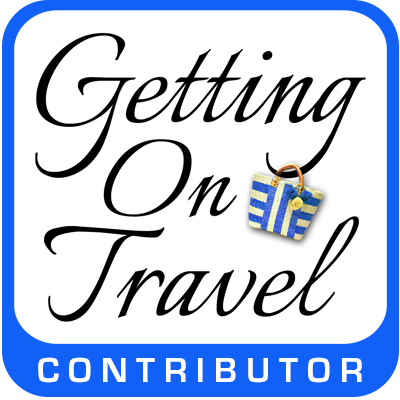 You’ll be planning your trip even sooner! 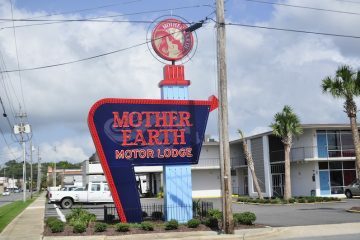 What a fun place to stay! I too love certain amenities like the make-up mirror, easy chargers and walk-in showers that just make your stay a lot nicer. 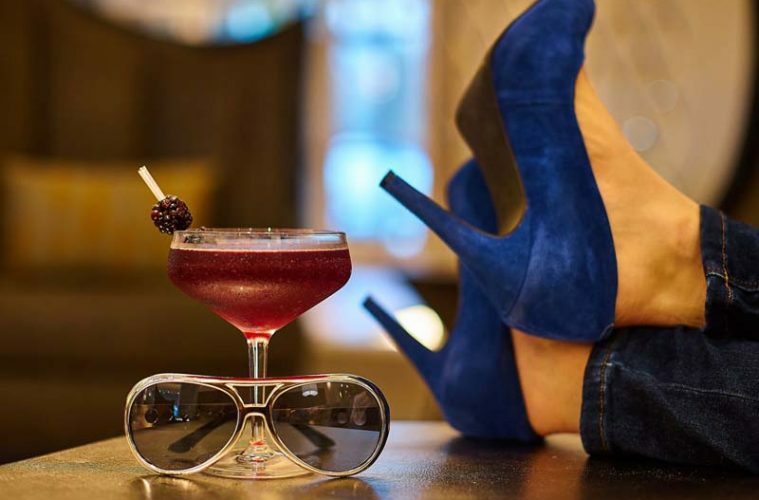 Love your blue suede shoes – really sets the tone. Thanks for your response and for the useful (and inspiring ) information. Best wishes! I WANT those blue suede shoes! Great story, Debbra. What a fun destination! 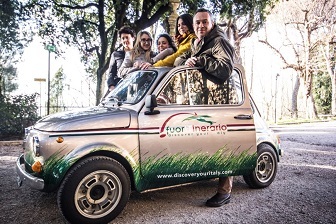 Thanks for sharing your trip with us! They are great, aren’t they? Not sure I could walk far in them, but I think Elvis would approve! 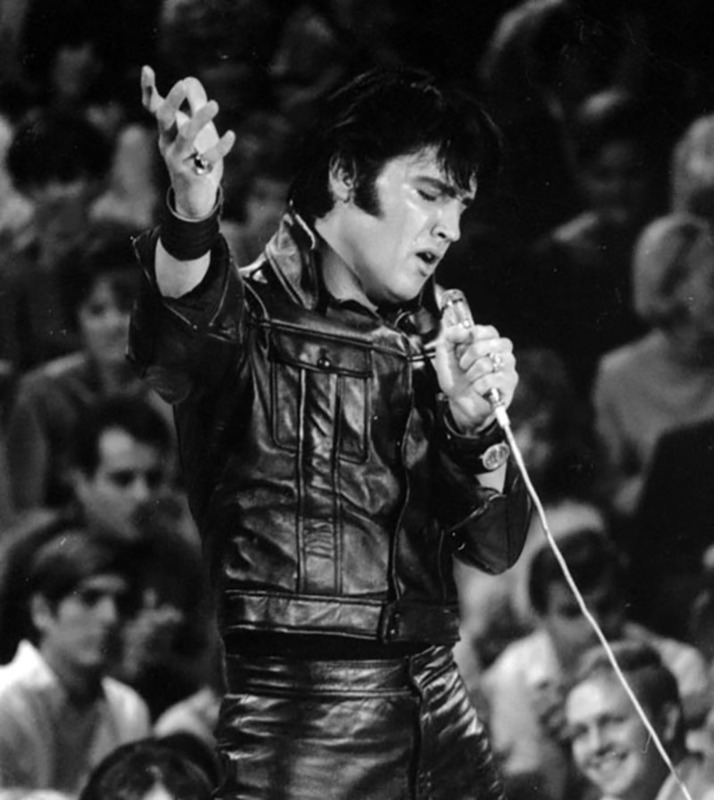 Memphis really is a great destination for all things Elvis…and beyond! Very interesting, and wonderful photos. Now I feel that I would like to visit there also. Lauren, I’m glad the article has piqued your interest in visiting Memphis and staying at The Guest House at Graceland! Being able to stay at the new hotel, so close to Graceland, really enhanced the entire experience for us.